This is awesome, Jenny! You're raising him right! 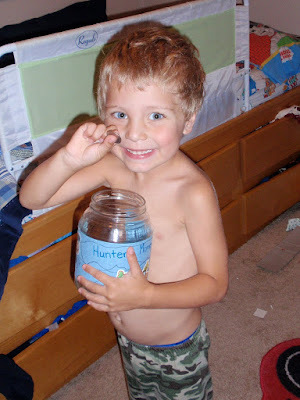 I love how he took a picture of the quarter in the jar.